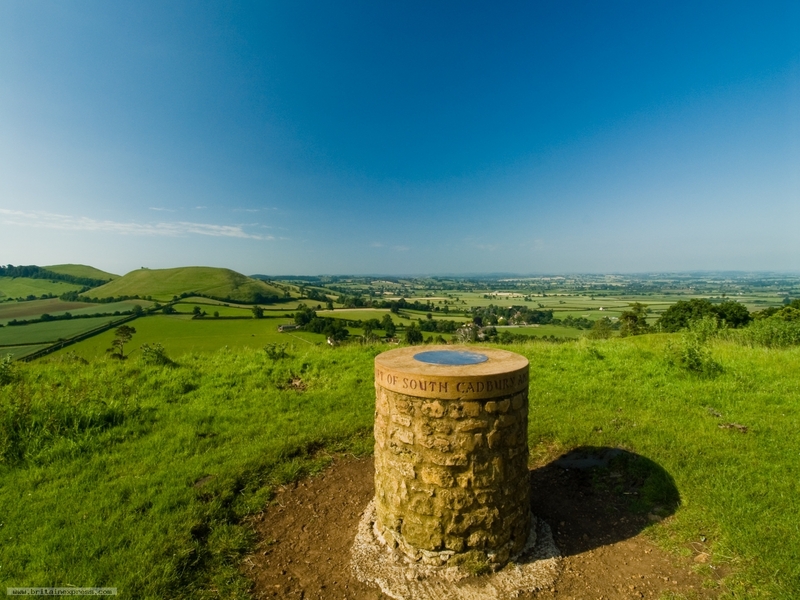 Cadbury Castle is an ancient hill fort rising above the east Somerset village of South Cadbury. The hill fort saw use during the Roman period and in the turmoil that followed after the Roman's left. Cadbury is one of several sites often associated with the legend of King Arthur's Camelot. Though it seems hard to visualize an Arthurian castle from the earthwork mounds that remain, the views from the top are superb, with the vista opening out north towards over the Somerset Levels and Glastonbury Tor in the distance.